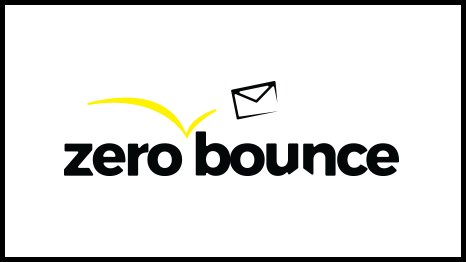 With Zerobounce online email validation system, access different services like Email Bounce Detection, Email Spam Detection and Email Data Append. Companies invest a large amount of their budget to marketing. With email marketing being a channel with a high ROI, companies are using email to reach their customers and prospective customers. So it makes sense that you want to make sure you’re spending your email dollars wisely and reaching as many customers as you can. Email validation, also known as email verification is performed to check the quality of your email list. The validation process will filter out the spam and check to ensure the email addresses are valid, accurate and deliverable. When you don’t “clean” your email list you run the risk of growing a list of incorrect email addresses. This then leads to spam emails and ESPs lowering you sender score. Over 100 billion emails are sent every day. However, due to low sender scores only 70% of those emails will make it to the inbox. Not only does this leave your customers in the dark, but it can taint your brand and cause you to lose business. The frontrunner in email validation, safety and security that customers need when it comes to protecting their data. Using advanced SSL to upload the data, ZeroBounce is known for using the best encryption available. Once a list is cleaned and validated it is returned by an encrypted transmission over advanced SSL. To protect your data, the file is encrypted, downloaded and password protected. 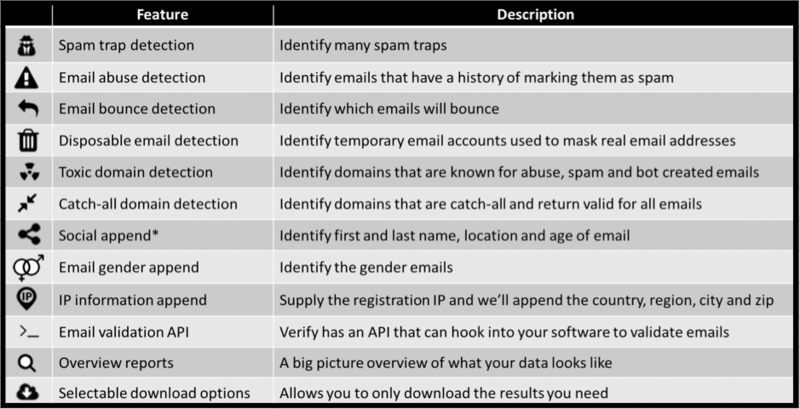 Email data append: appends the addition of missing data such as first and last name, gender, location or city, state/region, country when the registration IP is provided. ZeroBounce’s pricing is very affordable starting at $150 for 100,000 email validations up to $750 for 1,000,000 email validations. They also offer $10 per 5,000 email for smaller lists and free trials are available. No matter the size of your email lists ZeroBounce can help. Managing bounce rates can help increase the 85% average (in all industries) inbox placement rate. Will you choose ZeroBounce to get you there?